“When I first started out, about 200 new computer viruses were discovered every month (we thought that was a lot back then). For those who were really paranoid, they could connect their modem to an antivirus company’s bulletin board and download an update about once a month”. “Now 400,000 new malware samples are discovered each day, which equates to about 3-4 malicious programs uncovered per second”. You’ve heard the stories about the bad guys on the internet – people who send poorly spelled email scams, those who use phishing emails to dupe the unwary into giving out their bank account details, and those who deface websites to make political points, and hundreds of other types of cyber criminals up to no good. Now, while the chances of you falling victim to them are slim – if you’re sensible and follow good security advice – the problem is getting bigger. That is why you owe it to yourself and your family to protect yourselves when you are using the internet. If you don’t, there is an increasing chance you’ll regret it later. And when it comes to internet protection, there are a couple of free or low-cost solutions that can really make a difference. The one you’ll hear about most often is antivirus software and we highly recommend you use it. The next most important defensive measure you can take is to have a good firewall solution as well. You can think of a firewall as a barrier that separates your computer or network from the internet. At various point in that barrier there are openings, called ports, through which your computer can communicate with other devices, including the internet. Likewise, other computers on the internet can walk in through those same ports and start communicating with your devices. A firewall will police those ports for you though, only opening them up as and when required and only to those external devices it trusts. Thus a firewall can prevent hackers from breaking into your computer, thwart worms (a particularly insidious type of malware) from spreading between computers on the internet and block your own data from leaving your machine (via a Trojan, for example) without your prior knowledge. Other types of security software – such as antivirus programs – can deal with threats as they arrive on your system. A firewall can block those same threats before they ever manage to take a foothold in the first place. So, now that you know you need a firewall, what’s next? The main choice you will have to make is between the type of firewall you install. There are two types – a hardware firewall and a software firewall. Hardware firewalls are typically more robust and feature heavily within the business arena, used by medium and large companies to protect their IT infrastructure. If you are a business owner we would recommend seeking out professional advice as to what type of configuration you will need and the product best suited to your needs. A software firewall is more suited to the home user and the best news is that they needn’t cost you a thing. Installed on each and every computer you have, a software firewall will monitor and control traffic between your machine and the internet. 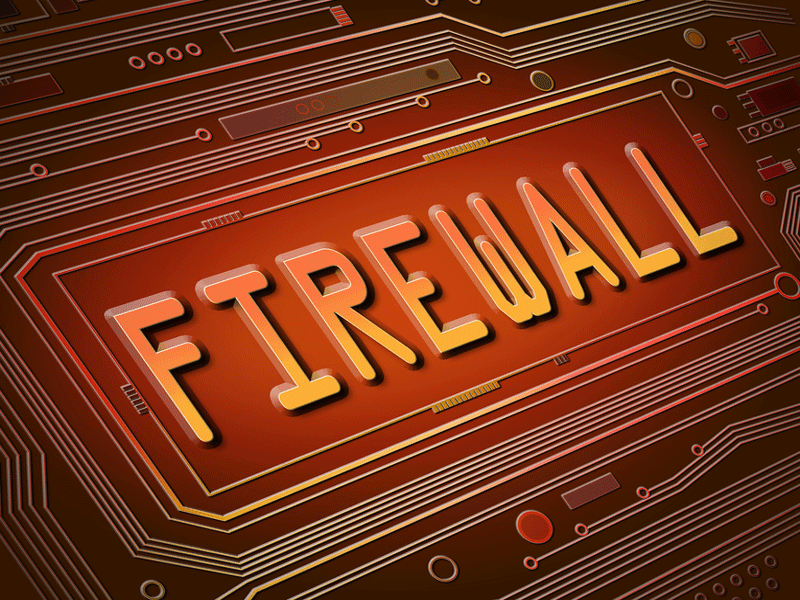 There are many different firewalls available. Some can be downloaded from the internet as standalone products, other are available from the major security vendors as part of their internet security software packages. For fans of Microsoft’s operating system the choice may even be simpler than that – from Windows XP onward, a free firewall has been included. Windows XP users (if you are one, please consider upgrading to a newer operating system as support and security patching expired on 8 April, 2014) can go to Control Panel > Security Centre. In Vista, you can check the firewall status by opening up Control Panel > Security. And, in Windows 7 and 8, go to Control Panel > System and Security > Windows Firewall. If your firewall is active; great. If not, switch it on right away.